Last night I partook in yet another Middle Eastern feast, this time with a few good friends of mine, Jill and Clare. 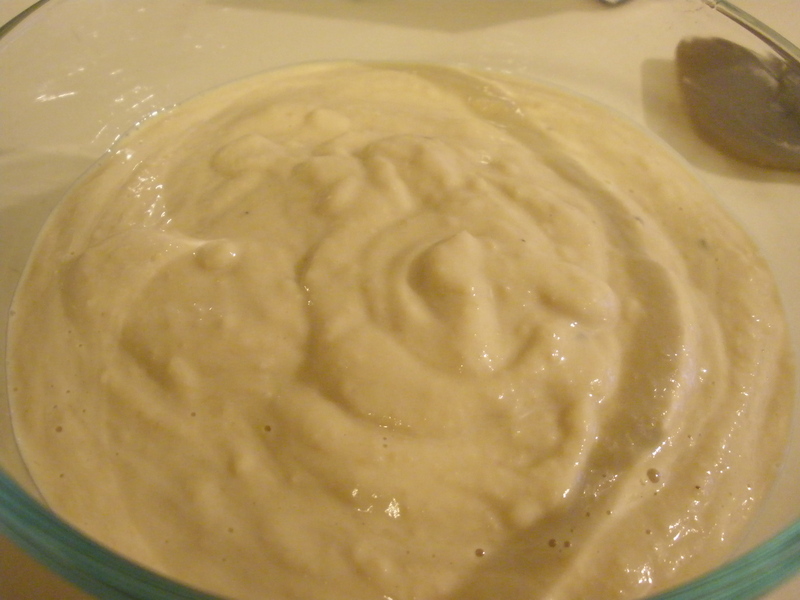 I decided to make hummus to eat with some excellent Italian White bread from Central Market. I also made a version of Jeweled Rice, a recipe from Epicurious, but instead of basmati rice, I used bulgar instead. I also added some fresh parsley to add a bright, fresh element to the salad. An excellent discovery I made was that adding butter to a grain, whether it’s bulgar, rice, or whatever, is extremely tasty! Clare made a Greek salad, and Jill made some red lentil chickpea patties with a cilantro sauce, a recipe from The Healthy Hedonist. Jill gave me my copy of the The Healthy Hedonist for my birthday a few years ago. There are so many amazing recipes in it. First, the hummus. I attempted to make a hummus with the consistency one typically sees at a Middle Eastern restaurant–not so much like a paste, but more on the creamy side. 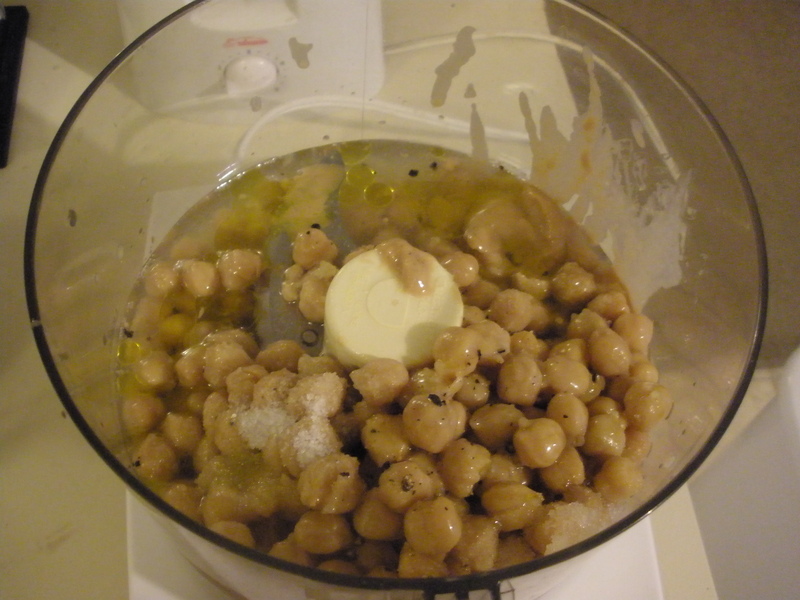 To do this, I added a bit of water to it to thin the chickpea/tahini paste. First, dump all the ingredients into a food processor. You can also use a blender for this operation, but it will require a bit more time and effort, since you’ll have to scrape the sides a few times to help the process along. Bring the water to a boil over high heat with the salt and cardamom. 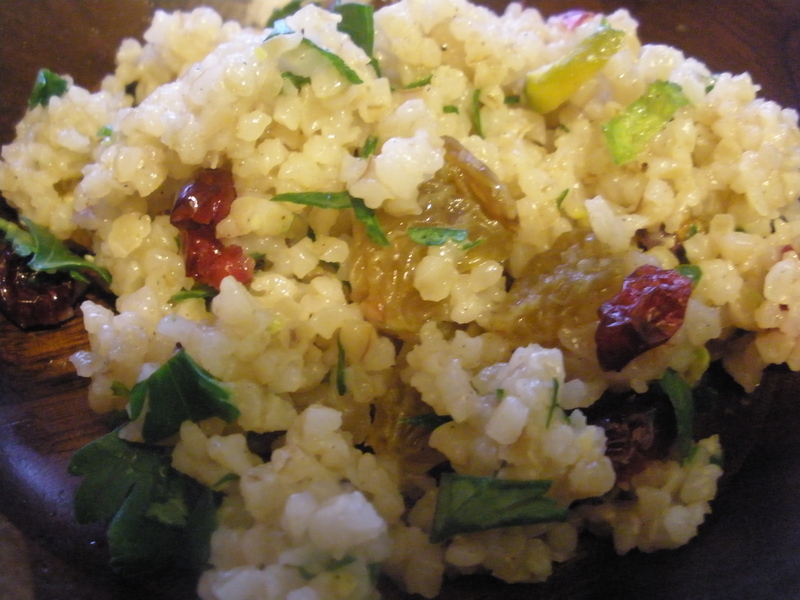 Add the bulgar, remove the pan from the heat, cover, and let sit for 20-30 minutes. Meanwhile, chop the apricots and pistachios, and toss with the cranberries and raisins. 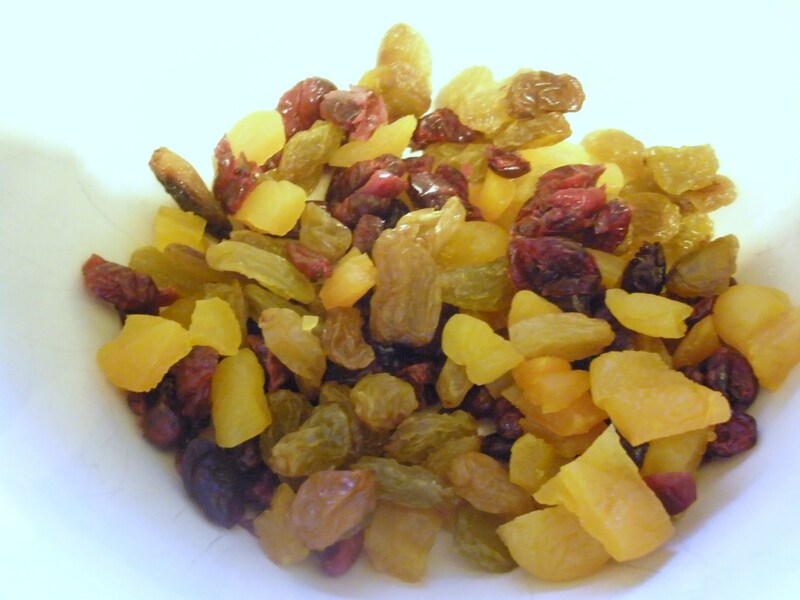 Melt the butter in the microwave and mix with the dried fruit and pistachios. Chop the parsley, and add to the dried fruit mixture. Mix with the bulgar once it’s cooked. Taste, and add salt if necessary. Grind some pepper over the top, stir, and serve. 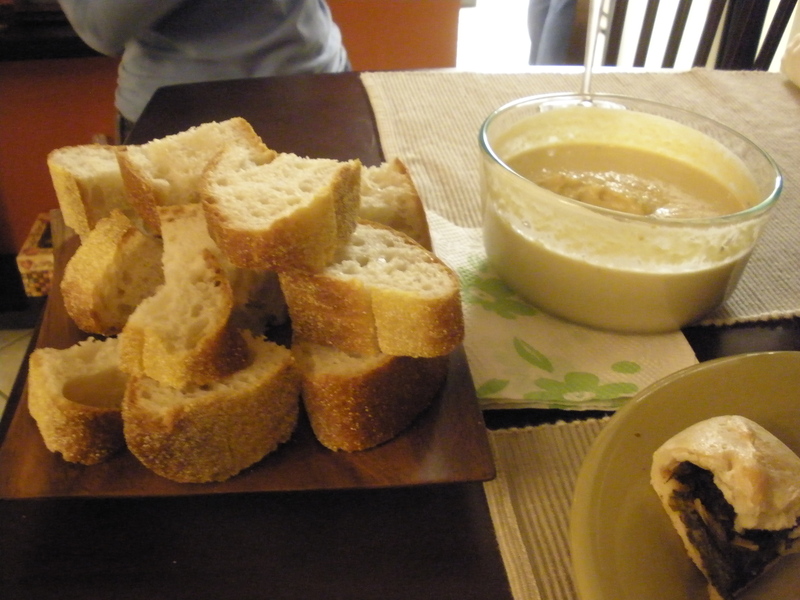 We served the hummus with the Italian White bread cut into chunks.